Providing top-of-the-line customer service is important all year round. But, it can be argued that there’s no more important time of year than now to turn up your customer service levels. Undoubtedly, your call volume has increased over the past few weeks. With holiday shoppers all over North America looking for the perfect gifts for their loved ones, your business is being called upon at a higher rate than normal for help. Keep in mind that delivering your best customer service during the busy holiday shopping season is a must. It will encourage your callers to remain loyal for the long haul. This tip has found itself in many of our previous blogs. It’s practically a motto around the MeloTel office to “smile before you dial”. Believe it or not, smiling has a huge impact on the tone of your voice. You’re human. It’s nearly impossible to sound like you’re in a bad mood if you’re speaking with a smile on your face. Try to make it a regular practice. Address each caller by name. It has often been said that the sweetest sound to a person’s ears is his/her name. It’s a little vain, perhaps, but apparently true. 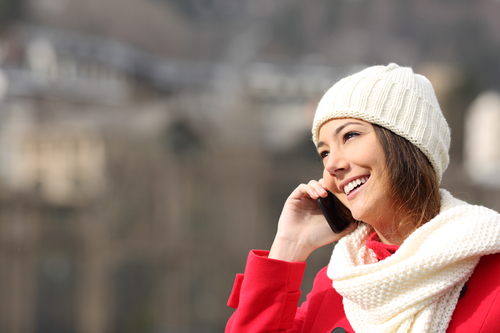 Be sure to use your caller’s name frequently enough that it helps you to build a rapport with the person. It creates a much more pleasant and friendly situation when you’re addressing the person by name instead of constantly using “sir” or “ma’am”.